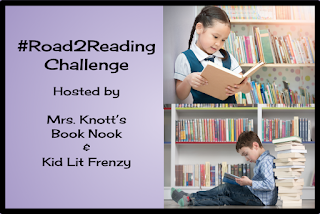 I am always on the lookout for books to put in the hands of readers who are ready for longer chapter books but not quite the longer and more complex middle grade books. I am so excited my friend, Kristen Piccone, made sure I knew about the Ellie May books by author Hillary Homzie. Hillary was kind enough to send me the two books in the series and I am so excited to get these to teachers and into kids' hands! First of all I love Ellie May! She is a fun-loving second grader who has the energy of the Energizer Bunny! This is a girl who is always on the move - and sometimes faster than her brain can tell her to slow down! I bet you have some of these students in your class! You can't help but love them because of their zest for life. I know so many readers who are going to embrace Ellie May because they see themselves in her. The setting is perfect too - most of the scenes are at school, many others are at Ellie May's home. 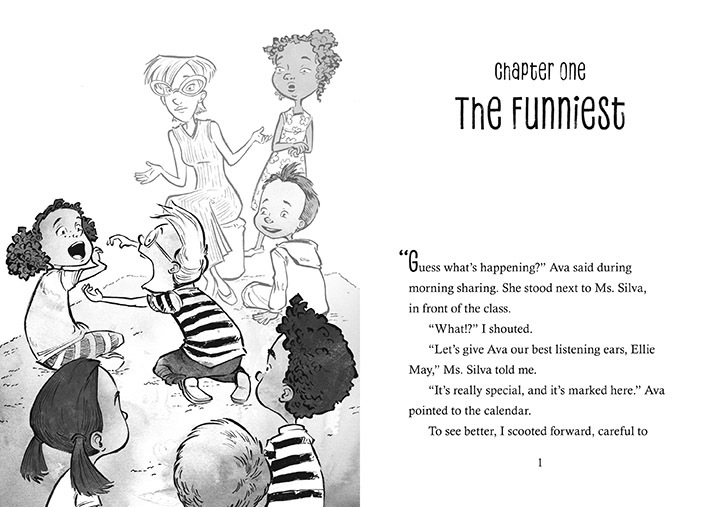 School is such a fun setting (and there are recess scenes!) because it is familiar to readers. Many of their own daily routines are reflected within the pages of the story. In Ellie May on President's Day, Ellie May desperately wants to be the flag holder before such an important holiday. After all the class has been studying the presidents and different symbols of the United States - being the class flag holder for the Pledge of Allegiance would be the icing on the cake! 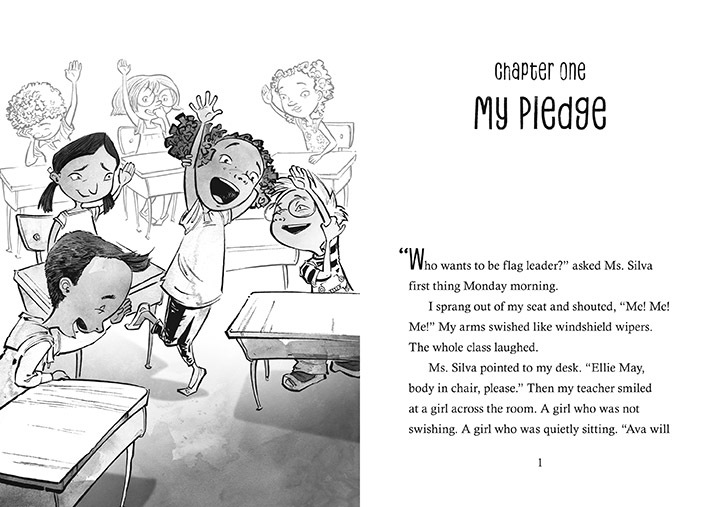 But in order to be the flag holder, Ellie May's teacher needs to notice her.... for the right reasons, like sitting quietly and being kind to classmates. Ellie May tries other ideas, like dressing in red, white and blue or writing a letter to the teacher in George Washington's voice. The end results are hilarious! This would make for a perfect February read aloud. Notice the full page spread illustrations! I love that there are so many illustrations throughout the story. 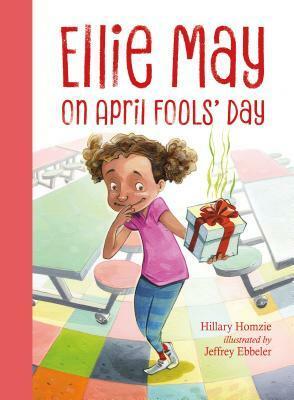 In Ellie May on April Fools' Day Ellie May wants to find the perfect April Fools' joke on her classmates! She may have some trouble figuring out playing a joke that is playful vs a joke that ends up hurting feelings. Little does she know her teacher has some things up her sleeve as well! 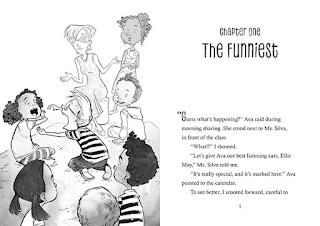 Readers will love this April Fools surprise! 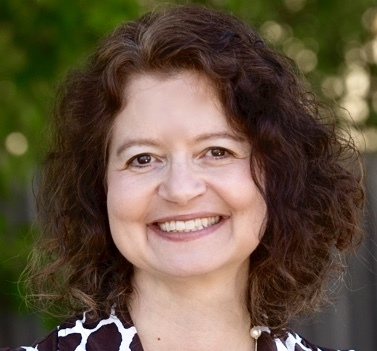 If you have readers who have enjoyed meeting Beatrice Zinker or Junie B. Jones or Judy Moody or Dory Fantasmagory, they are going to love Ellie May! Lucky for us, author Hillary Homzie stopped by the blog to answer some questions about Ellie May! Thanks for coming by, Hillary! 1. I love the inclusion of facts within each book - the presidents and bird facts. How did you know what to include? 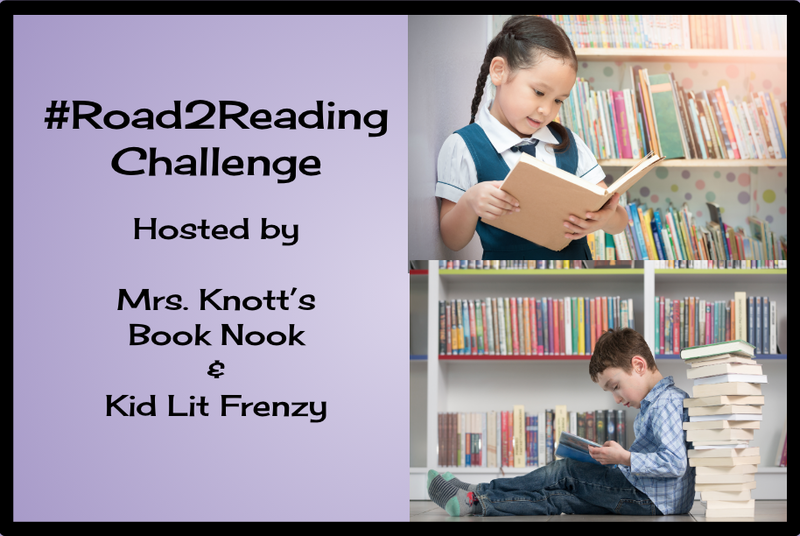 I find them perfect for young readers! My favorite part of writing may very well be research. In fact, I love it so much that I can spend days, even weeks, investigating something. One fact leads to another, then another. If I weren’t a writer, I would be a detective or a reference librarian. Actually, my younger sister is an academic reference librarian at Boston College, and I told her if I’m not going to be a librarian, then you better be, since one of the Homzie sisters just has to be a librarian. Anyway, when I was doing my research, I had Ellie May squarely in my head, so I knew exactly what would interest her. I made sure that I digested the information as if I were Ellie May. So that’s how I ended up writing up the class notes and kid centric cool facts, such as George Washington’s dogs were named Sweet Lips and True Love. And how his false teeth were likely made out of hippo, cow and donkey teeth. Or info about birds, such as sociable weavers live in bird apartments buildings. These sorts of nifty facts I hope will make kids want to dive further into their own research on something that interests them. 2. Where did Ellie May's personality come from? I think young readers are going to love meeting her! 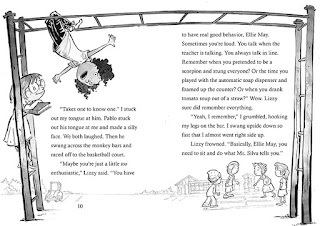 Ellie May is a bit like my middle son, who is curious, eager and irrepressible, but the sort of kid who wrestled with impulsivity. When he was in elementary school, teachers worked on redirecting and helping to channel his energy. While Ellie May shares some of my son’s enthusiasm, she’s definitely her own person. She pretty much jumped into my head fully formed, and once I gave her a problem to solve, she just took over. Writing these two books was so much fun because I always wanted to see what Ellie May would do next! 3. How did you decide to pick these two holidays? That’s a great question. I think I wrote about Presidents’ Day for a few reasons. One of my nieces, a second grader, is obsessed with presidents. By first grade, she had them all memorized and loves to learn any sort of fun presidential fact. I guess her excitement was infectious. Also, I grew up in Virginia, the birthplace of eight presidents, so learning about presidents almost felt like learning about your neighbors. Plus, I think it’s important for kids (and adults) to know about the history of our U.S. leadership. Once I picked Presidents’ Day, my editor asked to write about a holiday that followed it. She actually suggested I consider April Fools’ Day since it’s a very big deal for kids. She knew that I love anything to do with humor. When I was younger, I studied and performed sketch comedy in New York, so like Ellie May, I worked hard on being funny. Since April Fools’ isn’t necessarily studied in school, I thought that the Ellie May facts in her notebook could be from a science unit on birds, and then I would just have to figure out how birds and April Fools’ Day intersected. Folks will just have to read the book to see what I came up with! 4. I always love finding out some fun facts about the books or characters that we might not know about. Anything you can share with us? 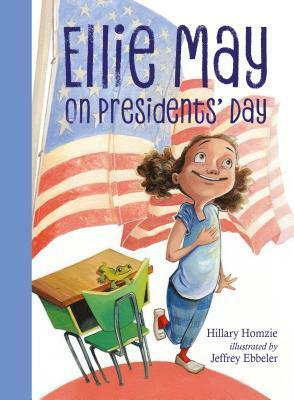 When I first wrote the first book, Ellie May on Presidents’ Day, the text was much shorter—probably half as long as it is now. In that first draft, it was all set at school and Ellie May didn’t truly have a best friend. My editor encouraged me to create a full home life and develop her best friend, Lizzy (who is an artist but not so good at four square). I have so many characters who showed up because of that request, including Betty, Midge’s pet giraffe and Diesel, the dog! 5. What's next for Ellie May? Any more adventures? I’ve been working on an Ellie May adventure set during Halloween. As a kid, I was in love with haunted houses, and even built one—complete with grapes for eyeballs--and charged kids to go through it. I don’t think Ellie May is going to do that, but I can guarantee there will be a few scares and more than a few laughs as Ellie May navigates a sweet and scary holiday. Thanks so much for having me here today at the Book Nook, Michele! 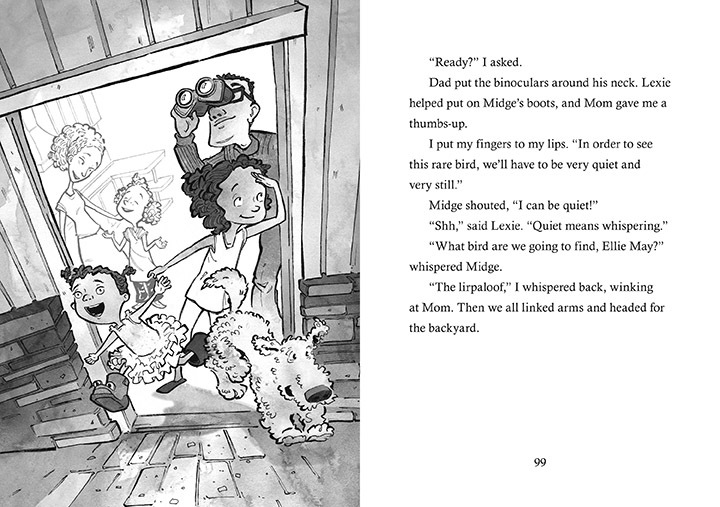 Teachers in 1st -4th grades, you'll want to find Ellie May and her adventures at your local bookstore or library! I know she'll be a welcome addition for your readers.